We went to London, England to visit family and managed to arrange that everybody was free to join us for a meal on the same evening. We played safe and booked an Italian Restaurant, Jamie’s Italian, 5 More London Place, London, England that we could enter from our hotel, Hilton London Tower Bridge Hotel, 5 More London Place, Tooley Street London SE1 2BY, England. The hotel is reviewed at https://hotelandrestaurantreviews.com/2015/03/02/hilton-london-tower-bridge-hotel-5-more-london-place-tooley-street-london-se1-2by-england/. Jamie’s Italian bears the name of celebrity chef, Jamie Oliver. We had been to another branch of Jamie’s Italian a few months previously. It is reviewed at https://hotelandrestaurantreviews.com/2016/01/04/jamies-italian-ground-floor-38-threadneedle-st-london-ec2r-8ay/. I was not overly impressed with the food, but other members of the family had enjoyed it so I was willing to give Jamie’s Italian, 5 More London Place, London, England a try. I am very glad I did. The ambience of this Jamie’s Italian is relaxed and friendly. The service from the moment we arrived to the moment we left was very good, but not quite as good as the service par excellence that I experienced at Jamie’s Italian Threadneedle Street, London. This is not a criticism, just a comparison. We were seated in a large booth and started our meal with olives and a delicious variety of breads. My husband and son-in-law sampled the beers while my daughters and I indulged by following a gin and tonic with a bottle of Prosecco. We chose a variety of main courses. My husband had a turkey milanese. This was a turkey steak stuffed with prosciutto and fontal cheese, breadcrumbed and topped with a fried egg and black truffle with a side of fries. He enjoyed it very much. My son-in-law chose the Gennaro’s chargrilled & butterflied chicken breast which was served with peas, beans and courgette with a hazelnut and lovage pesto. He also had a side portion of fries. My elder daughter chose a JI superfoods salad with chicken. The salad comprised fresh avocado, roasted beets, pulses & grains, sprouting broccoli, pomegranate & spicy seeds with harissa dressing & cottage cheese. She really enjoyed it. My younger daughter and I both chose veggie tagliatellie bolognese. It was a lovely recipe with an agù of porcini mushrooms, tomatoes, pulses, herbs & garlic with Bella Lodi & herby breadcrumbs: very tasty indeed. Only my husband made it to desert. He had the Tiramisu which he said was the best he had tasted. We rounded off the meal with a variety of teas and coffees. We had a delicious meal in relaxing surroundings. I recommend Jamie’s Italian, 5 More London Place, London, England and would use this restaurant again. It may sound ridiculous, but last week my husband and I travelled to London, England for dinner. It gave us an opportunity to catch up with our daughters and son-in-law before Christmas and also to catch up with a friend I was at high school with and his husband. We needed to stay somewhere convenient and central. We chose the citizenM Hotel. 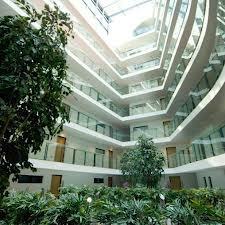 It is a hip, trendy hotel with a modern, glass facade. The citizenM Hotel is on a commercial street in central London’s South Bank. 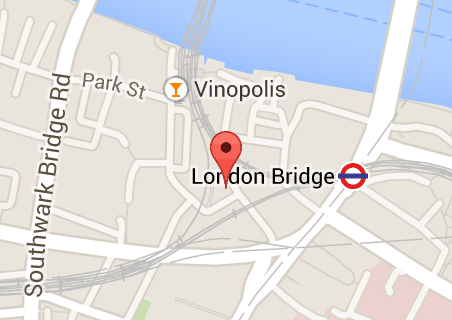 It is near London Bridge, the Shard, the Borough Market, the Tate Modern museum, Shakespeare’s Globe and Menier Chocolate Factory theatres. 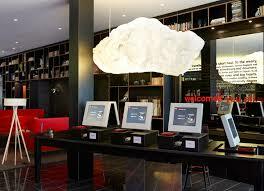 We did not really know what to expect: certainly the citizenM Hotel was not like anywhere we had stayed before. Check-in was speedy, courteous and highly computerised. The hotel has minimalist, mood-lit rooms where my husband had a lot of fun changing the colour if the lighting. Free WiFi is provided throughout the hotel, including in the rooms and a tablet was provided in the room too. Our room also had a flat-screen TVs with complimentary movies, and the room controls were operated by the touch-screen tablet. Integrated bathrooms feature rainfall showerheads. It is the best shower I have ever had in a hotel room. It is fabulous. As might be expected from a city centre hotel, the rooms are relatively small and are dominated by the enormous, comfortable, king-sized bed. There room had storage space and bottled water is supplied. There was a small desk, a stool, a chair and a safe in the room. Our room faced into the internal court yard, making it very peaceful and quiet. The only thing that would prevent me from using this hotel for a longer stay is that no tea or coffee making facilities are supplied. 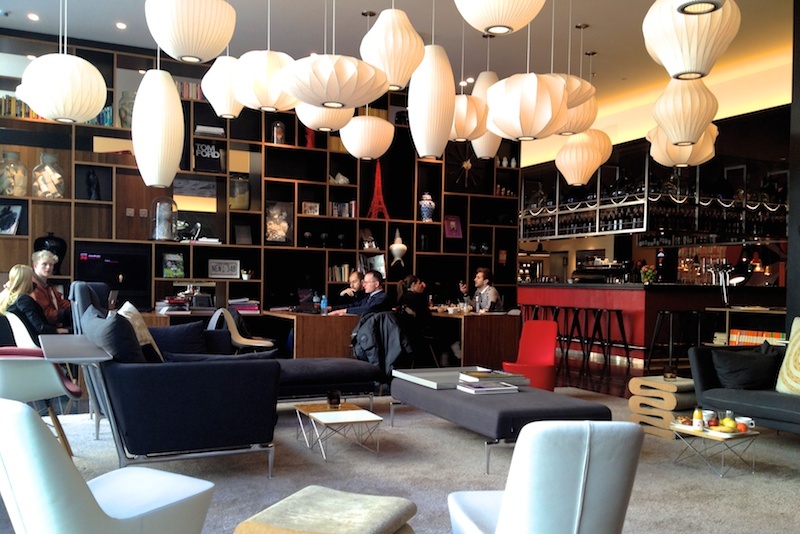 The citizenM Hotel has a trendy lounge bar and lobby work space on the ground floor. There is also a 24/7 canteen for light meals where the varied buffet breakfast is between 6.30am-11am. The staff were all extremely helpful and courteous and this hotel is eminently suitable for disabled guests. We would use the citizenM Hotel again, but not for a lengthy visit to London. 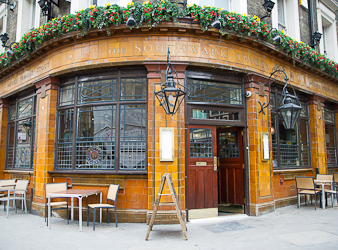 On a recent visit to London, England during the Rugby World Cup, my husband and I met relatives for dinner at The Southwark Tavern. We had a lot of catching up to do, so perhaps we should have thought this through and gone somewhere that was not showing matches. It was very busy and extremely noisy. The Southwark Tavern is a traditional pub with an oak-floored bar and exposed-brick basement dining room with vaulted alcoves. 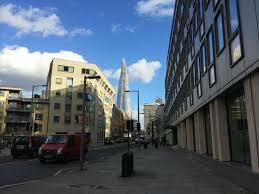 It is situated on Southwark Street near the Borough Market in London and is very easy to find. We were impressed with the menu which played on the rugby by alluding to the game in the names given to the dishes offered. Every taste was catered for at The Southwark Tavern and there was a wide variety of beers that the guys in our group enjoyed sampling. Our table was downstairs, right under the stairs! Not the best table, but we could not be fussy: it was a Saturday night in the middle of the Rugby World Cup. The city was exceptionally busy. The Southwark Tavern has a multitude of nooks and crannies to discover, it’s easy to get lost in the inimitable charm of this 150-year-old pub. We really enjoyed he atmosphere. We whiled away the evening over good meals from the seasonal pub food menu in our cosy candle-lit corner downstairs. The only thing that caused us grief was that we had to order each of our meals and drinks from the bar and then we had to bring the drinks, even water for the table, downstairs ourselves. The stairs are steep and curved, so this was not easy. I would not recommend The Southwark Tavern to those who are disabled or have mobility issues. However, this is a true South London institution and I will certainly use The Southwark Tavern again. Earlier in my life, I only seemed to go to London, England for conferences, interviews and to travel to other places. Now both my daughters live in London, at different parts of the city. So, when I go there it is usually to visit them. My husband and I usually choose a central hotel that is mutually inconvenient for them. On a recent visit this resulted in us choosing the Hotel Mercure, London Bridge, 71-79 Southwark St, London, England. We use public transport to get around the city, however prking is available at this hotel for an additional charge above the room rates. Mercure Hotel is set in London’s arty South Bank district. 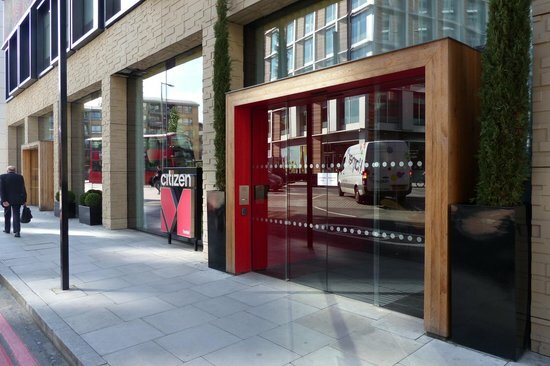 This modern hotel is an 8-minute walk from Southwark tube station and about 12 minutes walk from London Bridge tube station. 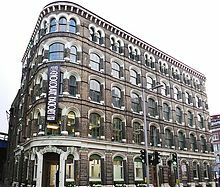 It is also only 5 minutes walk from the Menier Chocolate Factory. 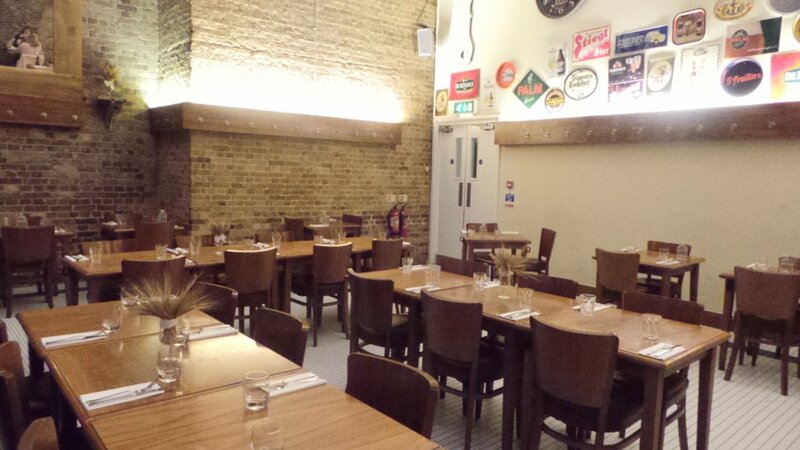 This is a 180 seat off-West End theatre, which comprises a restaurant, bar and rehearsal rooms located in a former 1870s Menier Chocolate Company factory, close to the Tate Modern Gallery and only 1.3 miles from the medieval Tower of London. The Mercure Hotel offers courteous service and contemporary rooms. We received a free upgrade to a premier room on the 7th floor of the hotel. It was very spacious and had complimentary Wi-Fi, 2 flat-screen TVs and work desks, a bathroom, additional shower room well as tea and coffeemaking facilities and a Nespresso machines but the fridge did not contain the advertised complimentary drinks and these were not added throughout our stay. In this chain, children aged 11 and under stay for free with a parent. The king sized bed was very comfortable and we enjoyed the spacious sitting area. We chose the Hotel Mercure primarily on its location. However, we enjoyed the amenities too. They include a chic bar and a restaurant. At the Mercure Hotel London Bridge the restaurant is being up-graded to incorporate a kitchen and dining room under the auspices of Marco Pierre White. A 24-hour room service is offered. There is also an exercise room, a business centre and 3 meeting rooms, although we did not have cause to use these. 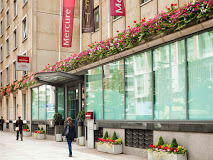 My husband and I very much enjoyed our stay at Hotel Mercure, London Bridge and we would use it again. My daughters now both live in London, England. They are in different parts of London, but London nevertheless. I do not. So a while ago we decided to have a girls weekend, just the 3 of us, somewhere different. The girls chose Manchester, England, UK. We wanted to have time to catch up properly, chat, gossip and relax so I suggested that, instead of booking into a hotel with separate rooms, we book accommodation in an apartment. This meant we had our own shared, private space as well as bedrooms. So I booked Blue Rainbow Aparthotel at Manchester Central. 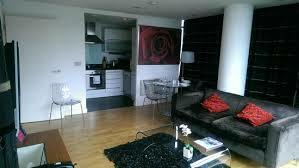 I had used apartments before in London, England and San Francisco, California, USA. However, I had not used these particular apartments before. 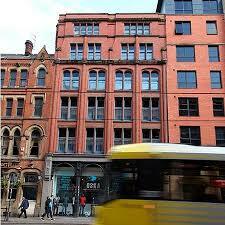 There are two sites of Blue Rainbow Aparthotel in Manchester, we stayed at the one in Commercial Street. It is not far from Manchester Piccadilly, Train Station and is quite central. It would provide a terrific base to relax between an afternoon sightseeing and a night on the town. We chose a two bedroomed Saver apartment. It was spotlessly clean and well appointed. It gave us a real feeling of luxury at a great value price. We were all very impressed. The staff at the apartments were very helpful and courteous they go above and beyond the call of duty. We were pleased with the customer service levels and standards, which include 24 hour-staffed reception desks, resident gym facilities and laundries. The fully equipped kitchen included a washing machine, dish washer and fridge freezer. This Blue Rainbow choice was perfect for our needs. 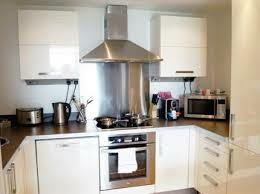 The accommodation gave us a small but fully equipped kitchen with good quality appliances. We also had a large, bright living dining room with 4 comfortable chairs, a comfy sofa and a large, flat-screen TV serviced by sky satellite. In addition to this we had 2 double bedrooms. One had an en-suite bathroom. There was also an additional bathroom with a lovely deep bath. The beds were comfortable, the sheets and towels were good quality and the furnishings were to a high standard. The serviced apartments are built around their own tranquil indoor Japanese Garden allowing guests to wind down in style. Set up for longer-term stays, but with no restrictions, Blue Rainbow ApartHotels accepts stays from one night to one year, or even longer if the need is there. We decided to spend a lot of time in our apartment as it was so pleasant and the gathering was specifically to relax and spend time together, although we were at the hub of everything in Manchester, even though the nine-floor, 79-ApartHotel building is located in a quiet corner of town, just off Deansgate. Secure underground parking for guests that pre-book was available, but we did not need that facility. We were not far from the buzzing Locks area and Manchester Central conference and music venue. With so many of Manchester’s central tourist attractions just a short walk or tram ride away, I would highly recommend Blue Rainbow Aparthotel. We felt we were staying somewhere extra special and would certainly stay there again. On a recent visit to London, England my husband and I were able to have dinner with our daughter and her boyfriend. They chose, Brew Wharf,14-16 Stoney Street, Borough Market, London and as it seemed to be central and very close to our hotel, we decided to walk. We must have taken a wrong turning. We got thoroughly lost. Having gone round and round and becoming quite agitated we took a cab from where we were. It was central and so close the fare was under £5.00 but we would never have found it without the cab driver’s help! Stoney Street is little more than a narrow lane. 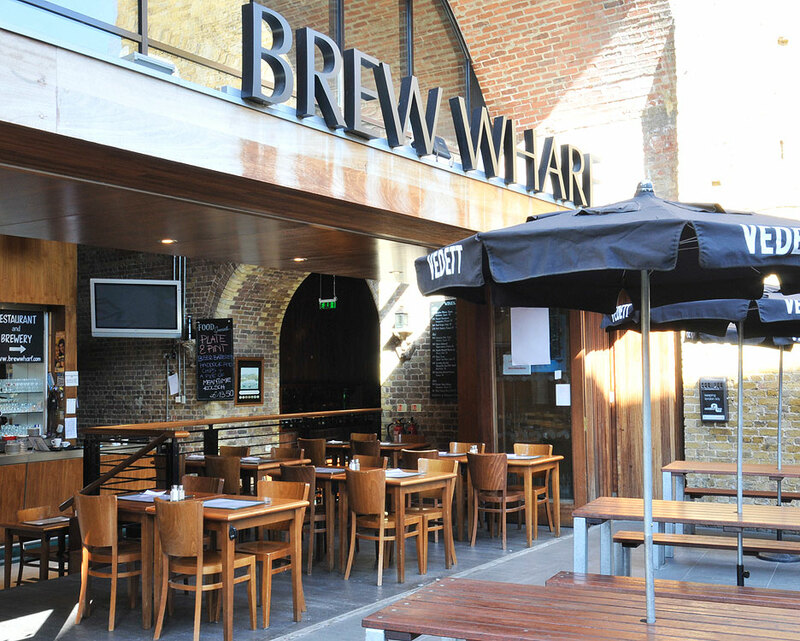 Brew Wharf is an interesting building, an exposed brick railway arch bar and terrace with lengthy beer menu and pub type cuisine. It has a wide selection of beers and the men sampled one or two. I can attest to the fact that they make a mean gin and tonic! Access is good for those with mobility issues and, although it was Saturday evening, the restaurant was very empty. The bar area was busier. However, as a vegetarian, I cannot recommend the venue for a meal. There was not a single starters or main course meal offered on the restaurant menu was suitable for vegetarians. I was surprised. It is a long time since that has happened to me in the UK. I was offered a pasta with a tomato sauce, but really, that is so unimaginative that we decided just to have a drink and go elsewhere to eat. I was disappointed. After a some time, and to members of staff asking if we were ready to order, the duty manager came over and offered me a mezze from the bar menu. All the dips were vegetarian and the real import of the evening was to get together with the family, not to wander around London, so we stayed. It was good of the manager to arrange this. The amount of the dips, made me think the dish was meant as a sharing starter. The amount of pitta bread with it made me think the meal was for an anorexic dwarf. My dips included babganoush, hoummous, guacamole, a tomato dip and a couple of others. It was fine but I would not write home about it. My husband chose the fish and chips and enjoyed it. My daughter had chicken. It seemed to be a very small portion, but she said it was good. Her boyfriend chose pork belly and said that was tasty too. However, bearing in mind that the restaurant only had three other customers, the service was very slow. There was no interaction with the staff. They seemed to be more interested in speaking to each other than waiting tables. Even our second round of drinks took a long time to come. We finished our meals with tea and coffee. I was really disappointed by the lack of atmosphere in this restaurant because the building is really quaint and I thought it would be fun. It was not. I was looking forward to a nice meal. That was not to be. I also feel that the Brew Wharf is overpriced. I would not eat there again.